The services we provide are professional, backed by expertise, and reasonably-priced. We have provided our asbestos cleaning, containment, and removal service to some clients in Perth and the surrounding area. We list the types of clients we’ve serviced in the past below. To protect their privacy, we avoid mentioning any names or specifics. Our company provides services for some residential clients. We’ve had teams visit and conduct inspections in homes, out structures, apartments, and even gardens. We can spot signs of asbestos, as well as contain the areas and conduct removal on behalf of the property’s owners, or for tenants, residents, or landlords. The team here has also serviced a variety of commercial clients who needed asbestos taken out from their facilities. For this, we provide both a professional service and our discretion. We have worked with offices and corporate buildings, clearing out older facilities. We are also reliable in getting rid of sheets and fibres from public structures and warehouses. We’ve also provided these services for stores and shopping malls. Our firm has also worked extensively with construction crews and renovation teams. 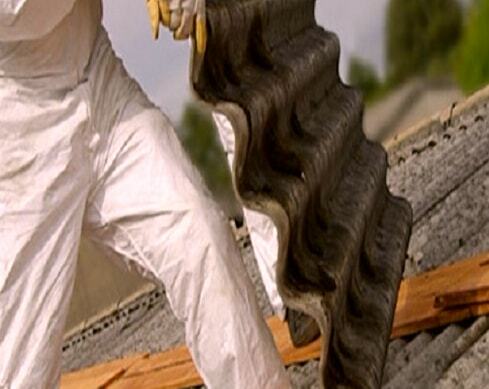 Whenever they find asbestos during their work, they call us to handle the problem before any further work is done. Hotels are also among our many clients. In recent years, our company has also expanded. We’ve grown and added industrial customers to our list of satisfied customers, their facilities clean and asbestos-free. We have cleared out asbestos from clients such as mining facilities, petroleum companies, oil refineries, power plants and related facilities, sea-going vessels, oil rigs, and pharmaceutical plants. Our industrial service can work on a large or small scale. Whether you need to remove the asbestos sector by sector or have it taken out in one massive undertaking, we can make the arrangements. For all of our clients, we make an effort to be efficient. We hope to get you back to your life or daily routine as soon as possible.